Manufactured from 6061-T6 material, our aluminum dowel pins are naturally corrosion resistant and provide a conduit for thermal and electrical currents, while being a third of the weight of steel. Aluminum’s non-magnetic nature makes it an ideal fit for environments with high levels of magnetic field without the risk of it getting polarized. Easier to machine than standard steel dowel pins, these multipurpose, low-strength pins have two chamfered ends. They are slightly oversized for a tight fit. Dowel pins are machined to tight tolerances. The holes that they go into are reamed holes also with a tight tolerance. 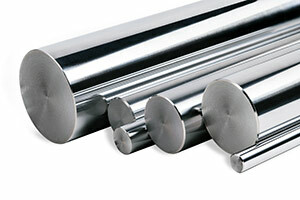 We offer a large selection of aluminum dowel pins to fulfill the requirements of any project that you may have. 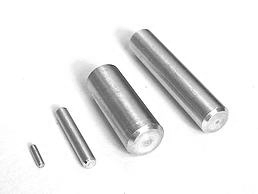 Apart from the standard industry sizes, we also can manufacture custom aluminum dowel pins of the exact shape, size, and length to suit your particular needs. Our wide selection of aluminum dowel pins and our attention to detail has allowed us to become one of the top manufacturers of high-quality industrial supplies. Take a look at the different types of models in our Product Catalog and choose the one that suits your needs. If you don’t know which aluminum dowel pins are right for you, get in touch with us and allow one of our experts to guide you in the right direction.